Simply adorable! Spring is right around the corner (hopefully) and I can't wait to start transitioning my wardrobe. 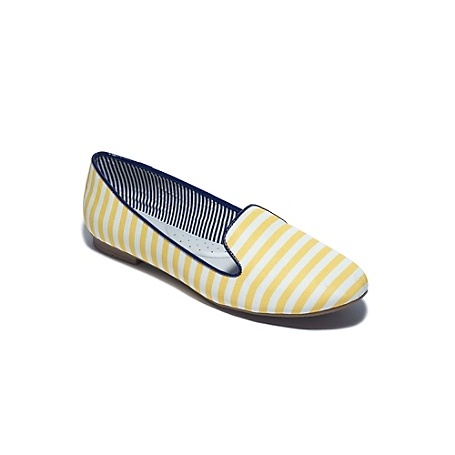 These flats by Tommy Hilfiger are perfect to rock in the early spring months. Stripes are always appropriate and trendy for spring and the yellow color is an instant mood-brightener. The flats are $69, but from a brand like Tommy that's a great deal. I can't wait to wear these (and not have to worry about a pedicure)!